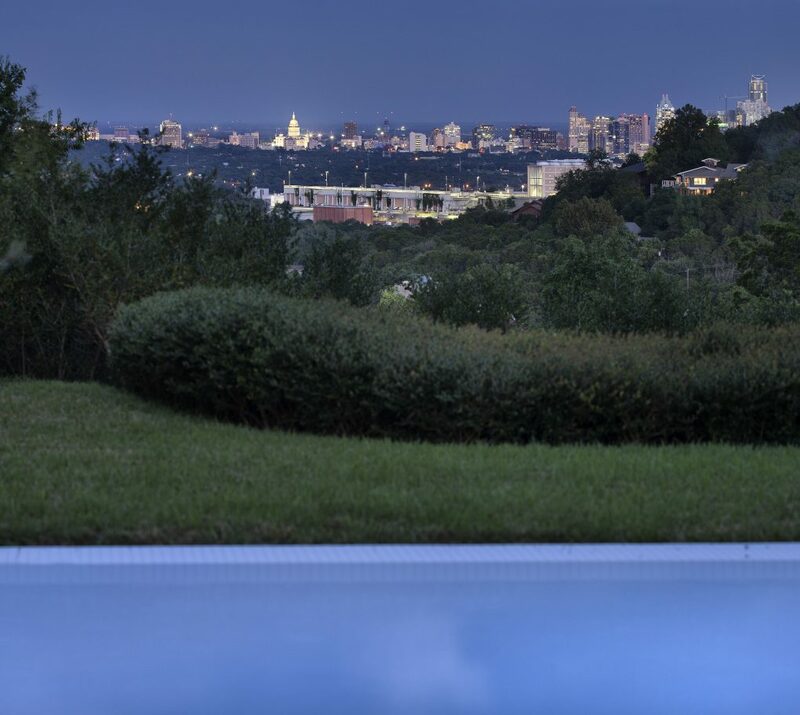 Architect Peter Gluck created a landmark home in Austin that makes the most of a beautiful view toward the city. 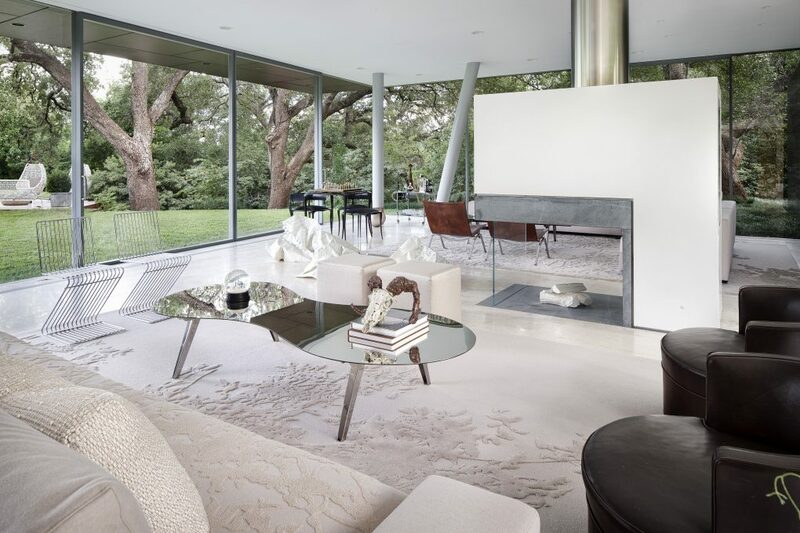 The seven-bedroom home on four acres appears to float because of a glass pavilion on the main floor that floods the home with light and allows the views to sparkle. Above this space bedrooms and other private rooms rest above, tucked in to a restful canopy of trees. 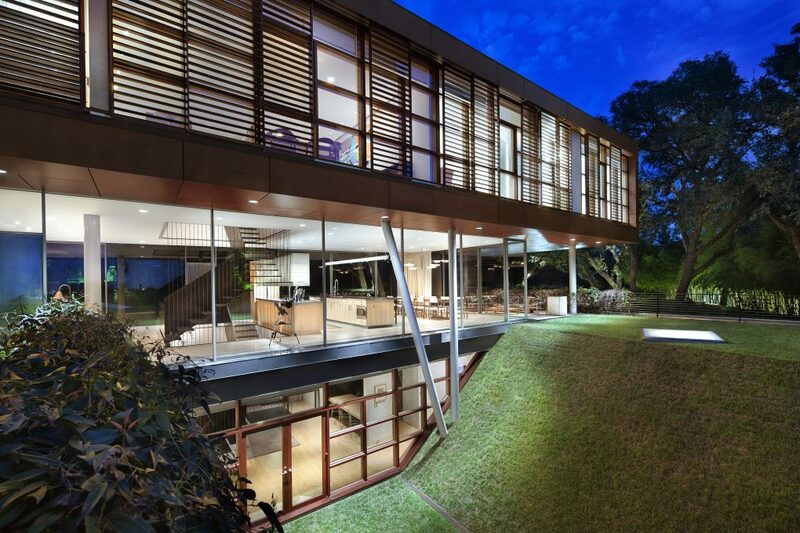 In order to keep the main floor open, working spaces including a wine cellar, prep kitchen, guest rooms, offices, and even a garage are tucked on a lower level which is still afforded plenty of light due to the rolling lawns. The acreage surrounding the house and detached guest house encompass a peninsula affording complete privacy with level land providing a perfect, unobstructed view of downtown Austin. The glass pavilion is a loft-like open space augmented by a large fireplace, kitchen cabinets and a beautiful architectural stairwell. 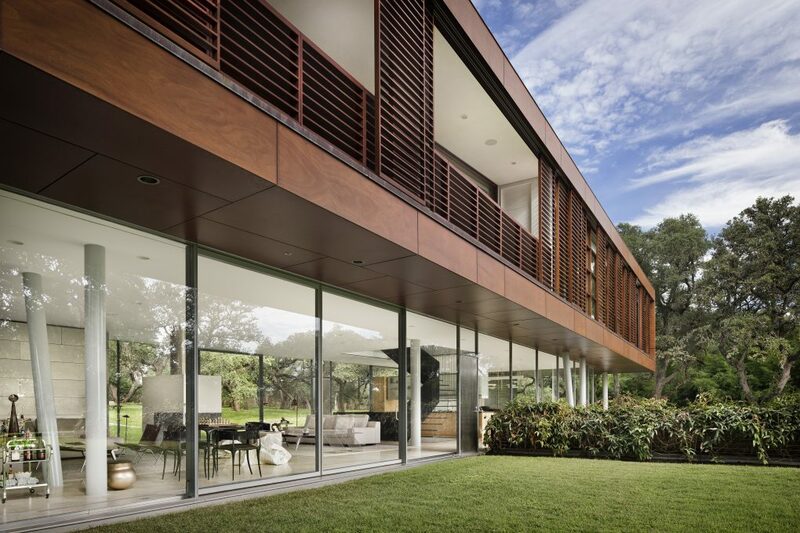 On the upper level, a palette of mixed woods including ipe, maple, and mahogany provide a warm organic approach that suits the sylvan setting. This extraordinary estate is listed for $14.9 million with Moreland Properties and is showcased by Luxury Portfolio.